Kevin Slater, "a hockey fan with too much time on his hands," has made his first book available via various electronic mediums. 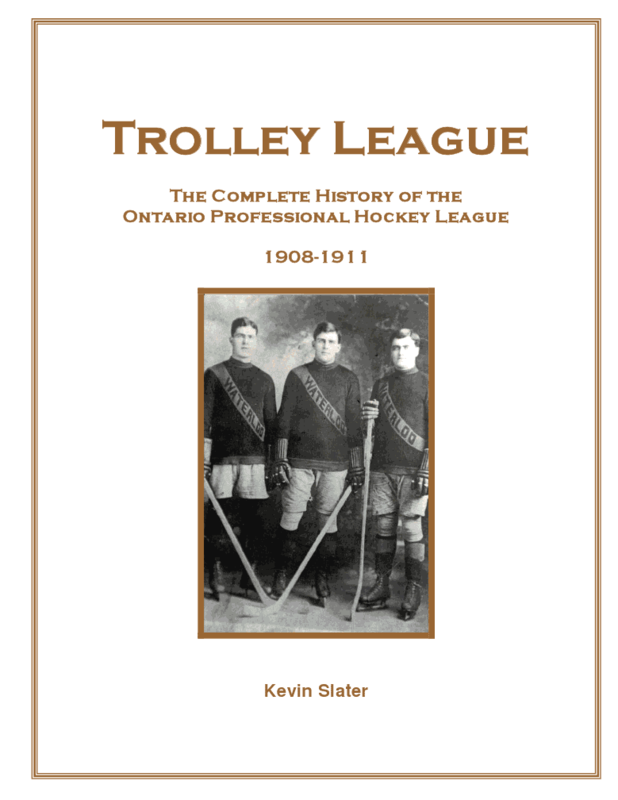 The Ontario Professional Hockey League was one of the first openly professional hockey leagues in Canada and during its brief history was regarded by many as the second best hockey league in the Dominion of Canada. This book provides detailed summaries and statistics for all 146 league games and four Stanley Cup challenges. Further, it also examines the struggles of forming and running a professional hockey league in perhaps the most turbulent era the sport has ever seen and in a geographical area where the prevailing opinion of the media favoured amateurism in sport. This book tells stories of the struggles the team owners had to sign quality players, and the lengths to which some players went in order to protect their amateur standing. The book also includes countless anecdotes of the many colourful characters that surrounded the game, some of whom are household names (Newsy Lalonde, Joe Malone, etc.) and others would be unheard of outside of their immediate families. 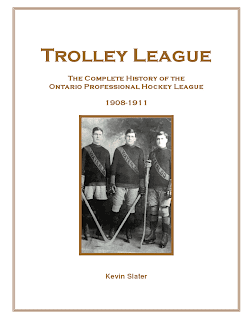 Again, the ebook Trolley League is only $5, and available directly from author Kevin Slater at kslater1@cogeco.ca .